Singer-songwriter Brandi Carlile is adding to her list of 2019 shows with a newly announced stop in Dallas in the spring. Carlile will perform at The Bomb Factory on Friday, April 12. 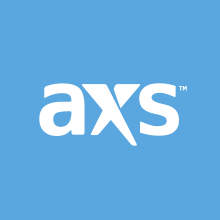 Tickets are on sale now right here on AXS. VIP packages are also available. As for other chances to see Carlile, she'll spend an early part of 2019 in Mexico, followed by a few shows in Texas as part of Old Settler's Music Festival, as well as a handful of other festival appearances. Last week, Carlile released a new video for "Party of One," starring Nicole Disson and "The Handmaid's Tale" star Elisabeth Moss. Carlile's most recent album, By the Way, I Forgive You, impressed us enough here at AXS to make our list of the best Americana albums of 2018 only halfway through the year. We're not the only ones who loved up--the album is also up for multiple Grammy awards, including Album of the Year, Song of the Year, and Best Americana album.